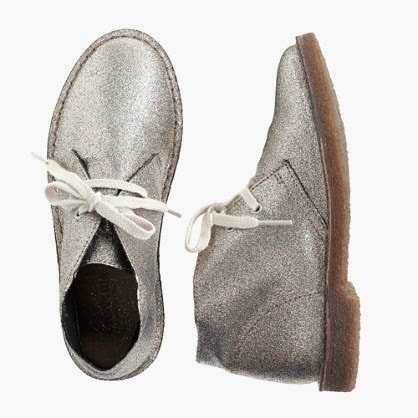 These great glittery MacAlister boots from J. Crew are currently marked down from $118 to $37.49, with the coupon code below. I love the versatility of these boots... plus the fact that they are even better with customized colored laces. These MacAlisters also come in two other colors (gunmetal and blue). The coupon code below will currently get you 25% off of anything at J. Crew (except certain 3rd party items), including sale merchandise. These boots had already been marked down to $49.99 but get the extra cut with the 25% off. What a deal. And, all kids and baby orders qualify for free shipping at J. Crew.